Leah wrote: What's Compliance doing with Engineer and Architect? I wondered the same thing. They're dramatically different. 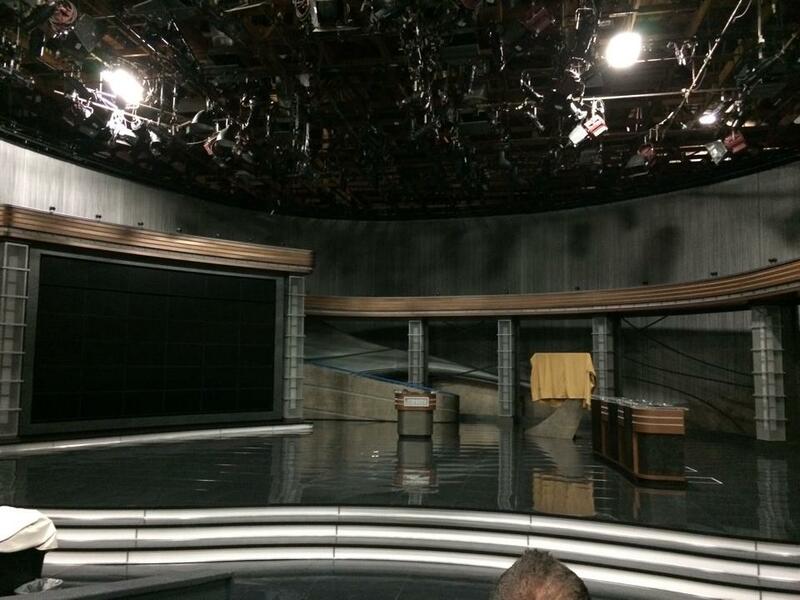 Someone posted a picture to reddit today of the new set with the lights off. Wow. Just... wow. I taped this season, and this is still kind of jarring to see. I also seem to be missing from the entrant list? alietr wrote: Crap. That explains why all of those sit-ups were for naught. If only TPTB would let contestants go shirtless. Then they'd be relevant in the wardrobe thread. People still don't quite get what a "Pavlov" is. Goatman, lots of great info in your post, it's just not condensed (and it's certainly full of non-essential non-Pavolv responses, like the Queen Latifa tidbit). Topic: Second audition before the call? Re: Second audition before the call? As a Raleigh resident who had to schlep it to Tampa last year, I wish I could audition again for fun, just to not have to drive anywhere. heelsrule1988 wrote: Yay for a fellow Raleigh resident being on the show and being a boardie! Obligatory question: Carolina, Duke, or State? None of the the above. Syracuse. It took 6 years, but I finally convinced them to follow me to ACC country. Any chance my new rank can be "freakin' Meredith" ?